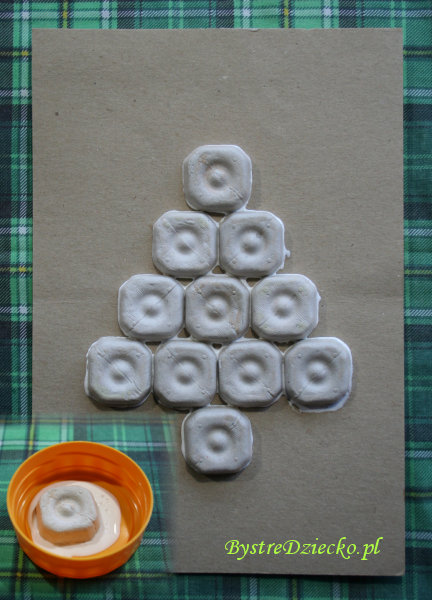 Here is another egg carton project for Christmas. 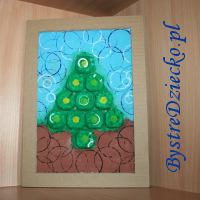 Many baked goods means a lot of empty egg cartons for fun, and many Christmas tree crafts for kids for painting. corrugated cardboard from an old box on frame. Kids will love to glue this pieces. 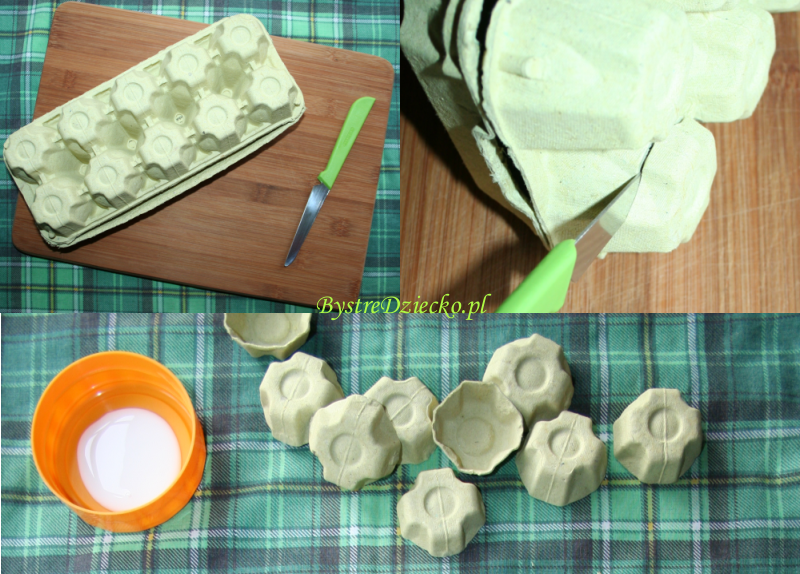 Glue the pieces of egg carton to hard cardboard. 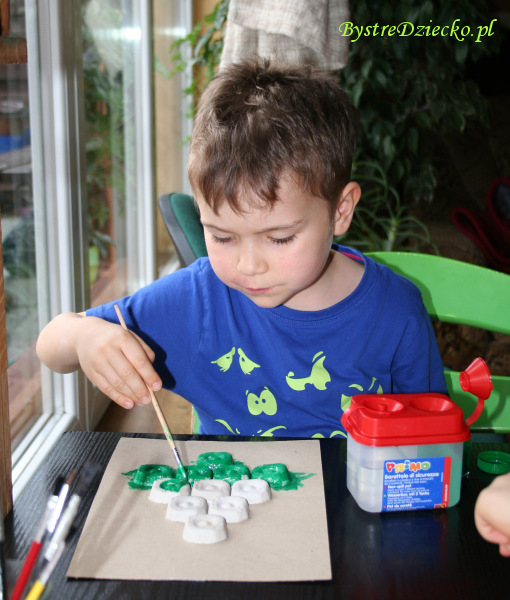 We usually use PVA glue, because initially white glue becomes transparent after drying. Press the pieces into a carton with something heavy, eg. cutting board, and wait until the entire project to dry. Painting is already full freedom on the part of kids. Once they will create multi-colored madness, and once the picture in a completely natural colors. 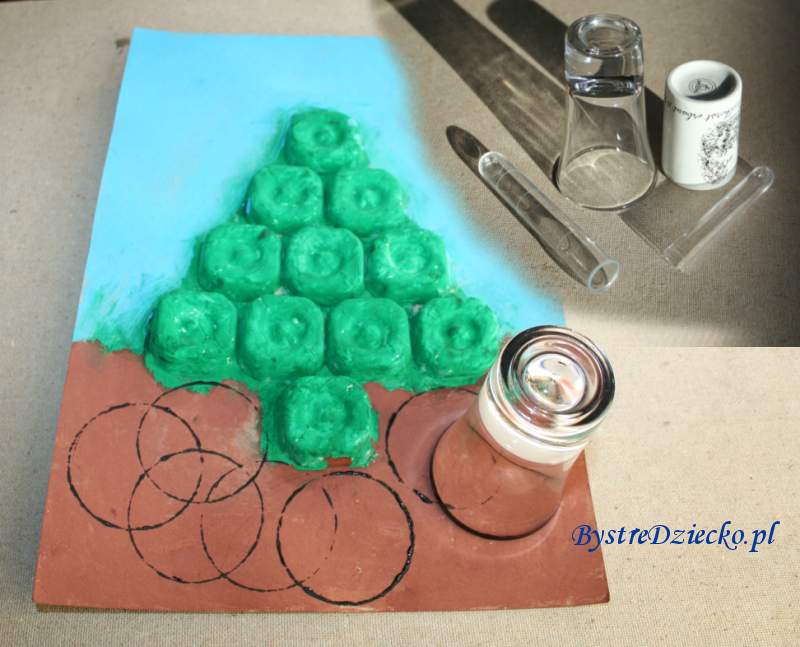 Decorating the tree may include gluing sequins or use decorative stamps. 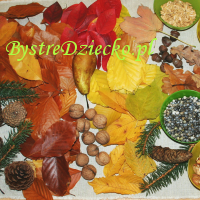 In our crafts for kids we use the kitchen accessories, eg. glass, or test-tubes of different sizes. Smaller things a child can immerse in the paint package. 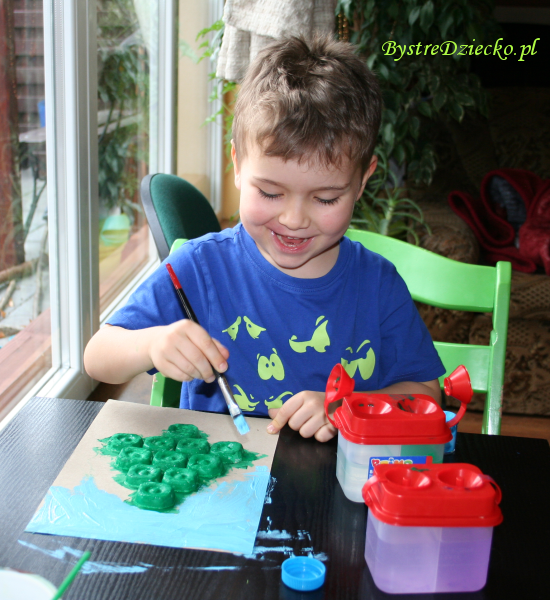 Larger things can be spread with paint using a brush. In addition, the resulting stamp can be multicolor. The frame is made of a single piece of cardboard. 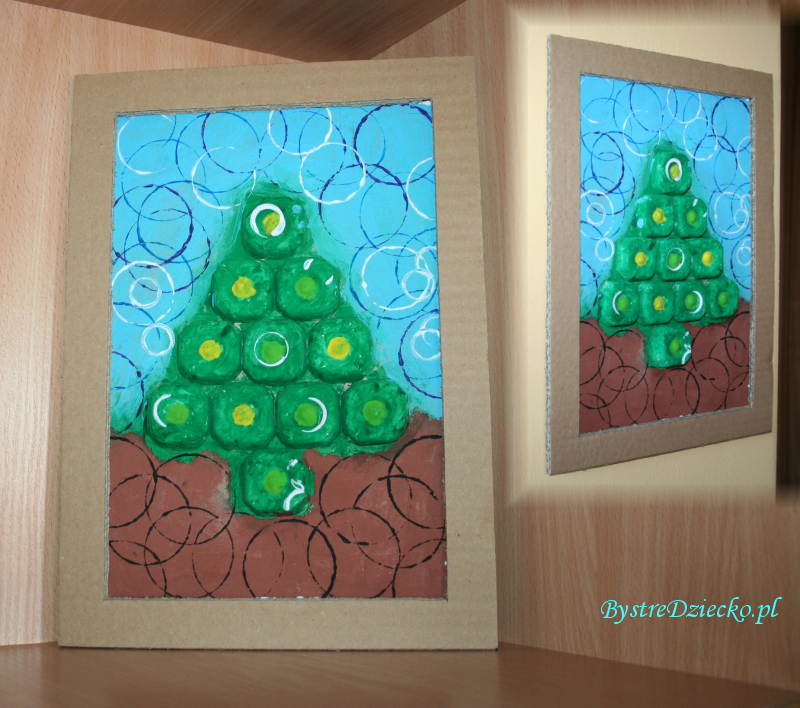 Description can be found in an earlier post: How to make cheap picture frames for kids from cardboard.